Designed by Bruno Mathsson in 1943 “The bookshelf” is produced in 2 cm thick solid beech with laminated supports the shelves can be combined as required. The shelves are supplied with white painted steel mounting bars for mounting directly onto a wall. A scale drawing will be mailed to you confirming your exact requirements following receipt of your order. 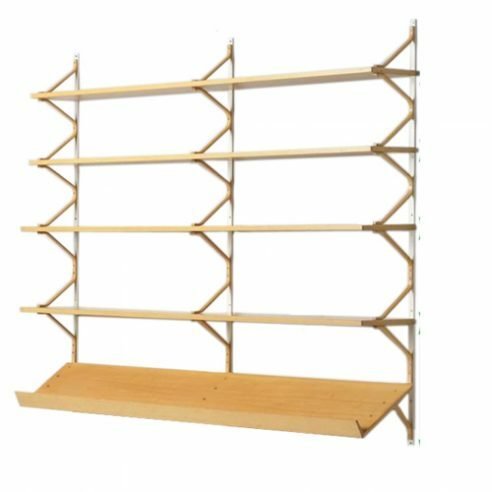 The shelves are available in two depths 23 cm and 58 cm and the laminated supports in two heights giving a choice of a 26 cm or 32 cm vertical shelf space.